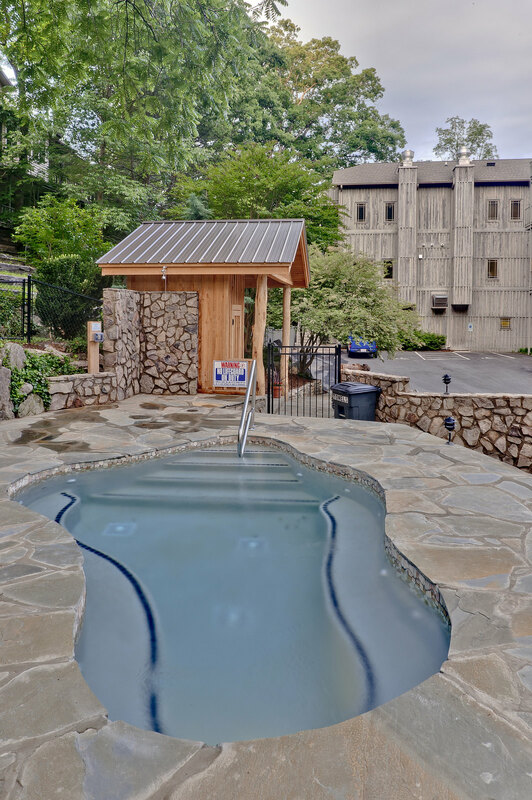 Our Hot Tub Is Open Year Round! 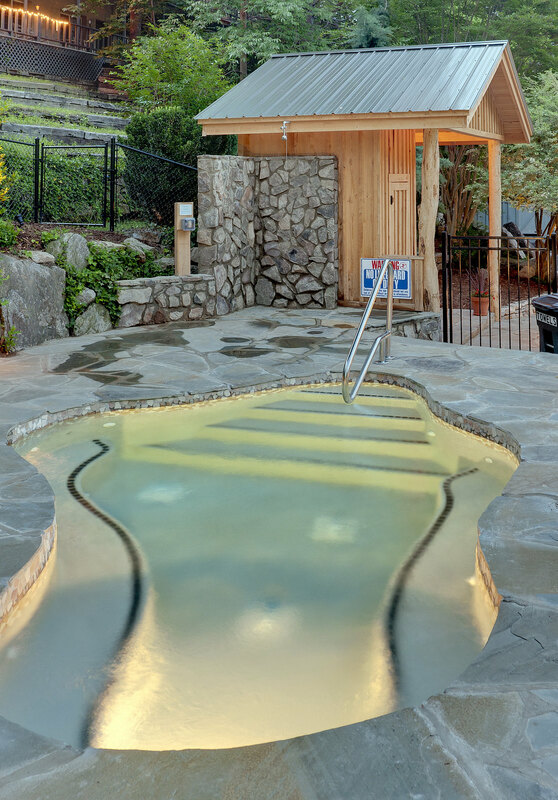 There isn’t a better place to relax after a day of hiking, horseback riding, site-seeing or shopping than our whirlpool spa. 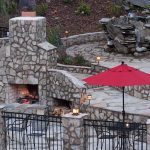 The outdoor fireplace is also available year-round, so plan on gathering around the fire with our S’mores Survival Kit, a glass of wine or a cup of hot chocolate. 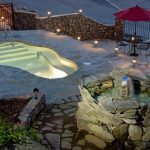 We want our guests to relax. 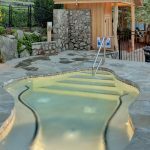 The outdoor spa, as well as the Patio, has more than 1800 square feet of stone patio as well as a free-formed 15-person, in-ground whirlpool tub that is designed for relaxation. 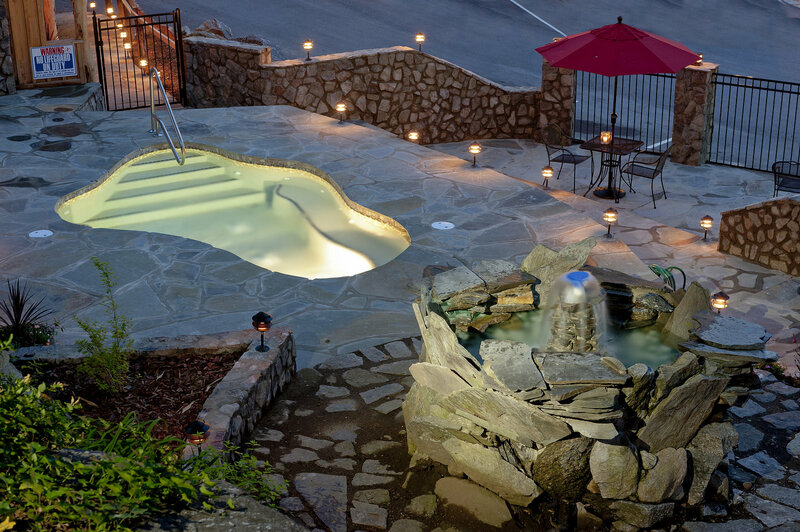 While taking a leisurely soak, sit back, admire the stonework and listen to the fountain. 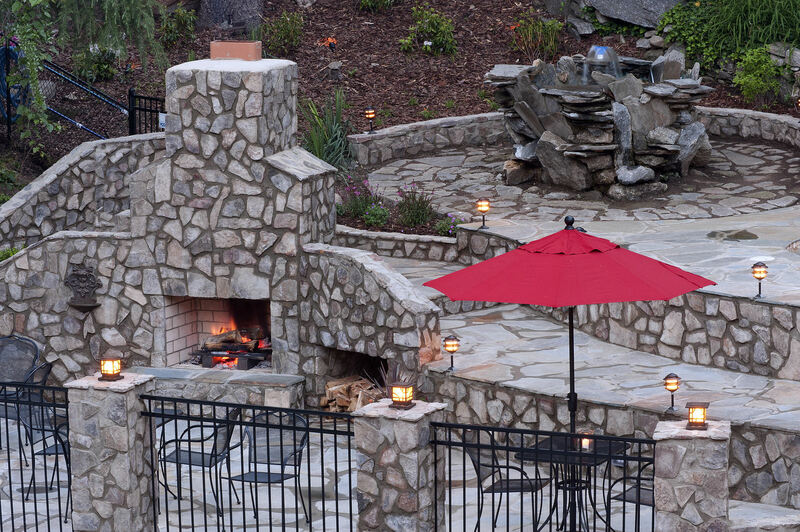 There’s a beautiful stone, outdoor fireplace on the patio. 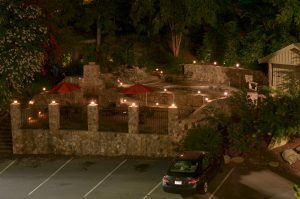 Ask for our S’mores Survival Kit at the Front Desk and indulge! 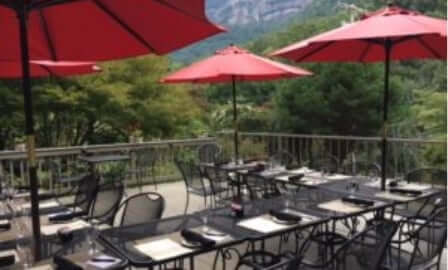 Our outdoor hot tub and patio are other great areas to take in the stunning views of the Rocky Broad River, Hickory Nut Gorge and Chimney Rock. 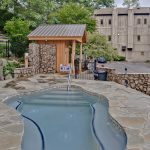 The hot tub is available year-round for use, weather permitting. 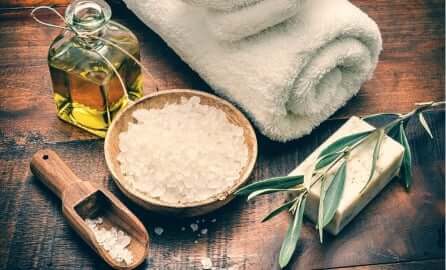 The Esmeralda Inn & Restaurant wants your stay to be a totally relaxing one, so be sure to explore our rejuvenating spa options! 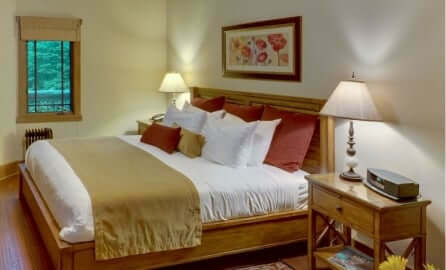 The Esmeralda Inn, Restaurant, & Spa is one of the few full-service lodging facilities in the area. 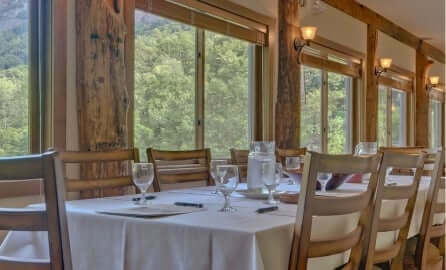 Let the staff of the Esmeralda make your next visit to the area a special one.